By Matt Juul·	 1/7/2016, 12:57 p.m.
We already knew Steve Carell was a star, but now it’s official. The Massachusetts-born actor was honored with a star on the Hollywood Walk of Fame at a ceremony in Los Angeles on Wednesday afternoon. While the festivities were dampened a bit by the rain, that didn’t stop a few of Carell’s famous friends from swinging by to show their support. Ryan Gosling, who co-stars with Carell in The Big Short, stopped by the celebration, as did Will Ferrell, who gave a hilarious introduction for his old Anchorman pal. The actor thanked the organizers for the honor and all of the people in attendance for braving the lousy weather to share the special day with him. 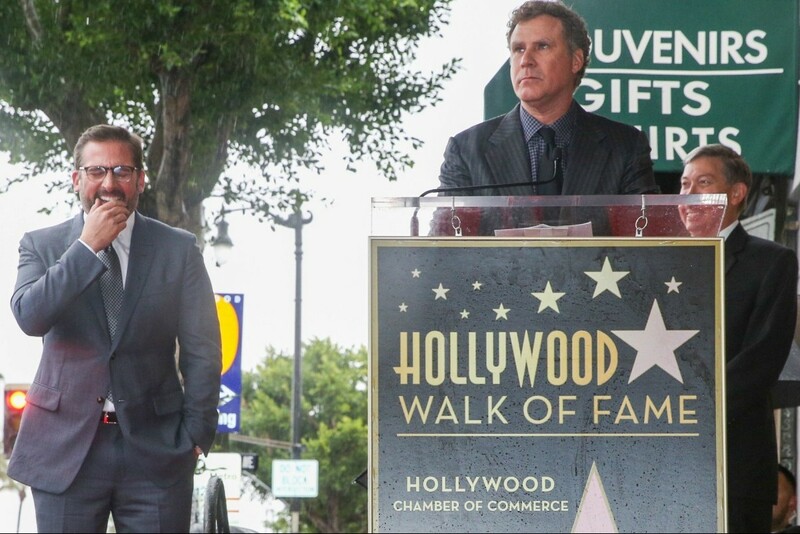 Check out Ferrell’s speech and other moments from Carell’s Walk of Fame ceremony below.